What do we know about children private space? In modern society children are objects of love and care, but nobody asks their opinion about material world that totally constructed by adults. Is private space possible for kids in this situation? What do children think about their privacy? Is it important for them to have their own room and for what? All these questions became reason for this project. Children’s room always reflects interests and personality of kids living in. But it is still part of parent’s space, where adults can invade anytime. That’s why children make their secret shelter on the bed like their own island where as they believe nobody can get them. 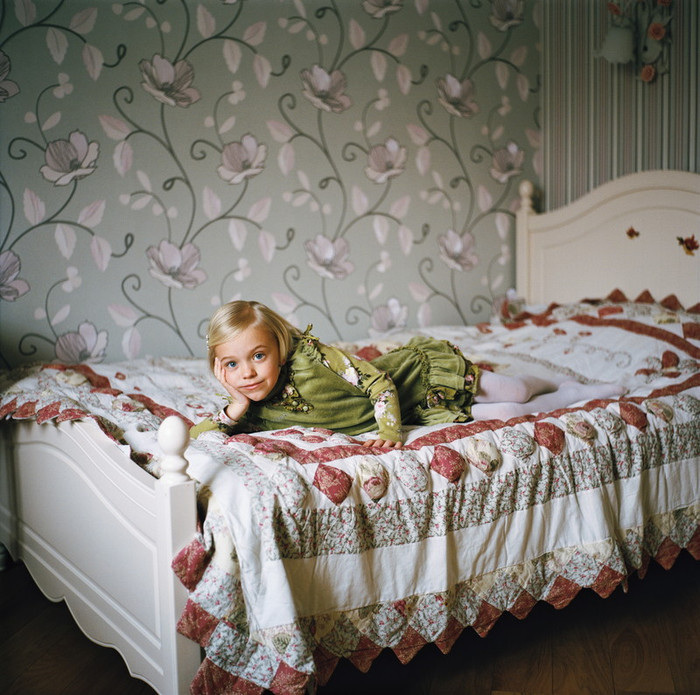 I photographed children in their rooms and views from their windows to Moscow suburbs.